Located in the heart of Federal Hill, 1201 S. Charles is home to 16 high quality, spacious two-bedroom units. 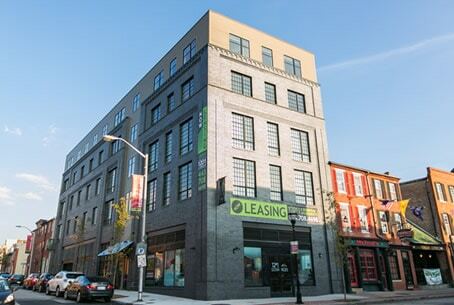 This new boutique apartment building is designed for the sophisticated needs of the Federal Hill resident. There are four basic unit floor plans, ranging in size from 1,052 sq. ft. to 1,631 sq. ft., with rents starting at $1,895 per month. 1201 is distinguished by its dark, rich, premium brick and features energy efficient, over-sized windows that allow natural light and air into each residence. 1201 S. Charles features some admirable “green” credentials. The building meets Baltimore City Green Building Standards. These are equivalent to a LEED Silver designation. A bright, distinctive lobby welcomes you to 1201 S. Charles. Industrial design accents help to create this warm, comfortable space – an ideal gathering place to meet up with friends and neighbors before a day of adventure or an evening of excitement. Living at 1201 S. Charles comes with exceptional peace of mind. A sophisticated entrance system keeps the building secure and you safe when you enter. Surveillance cameras both inside and outside the building bring an added level of security to our residents. Located in the heart of Federal Hill, 1201 S. Charles is home to 16 high quality, spacious two-bedroom units. 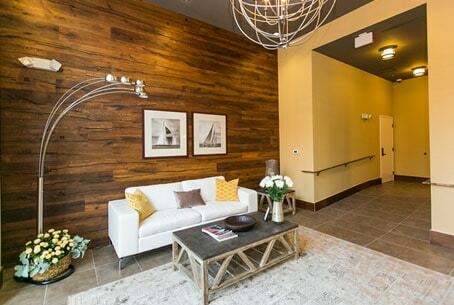 This new boutique apartment building is designed for the sophisticated needs of the Federal Hill resident. There are four basic unit floor plans, ranging in size from 1052 sq. ft. to 1,631 sq. ft., with rents starting at $1,895. 1201 is distinguished by its dark, rich, premium brick and features energy efficient, over-sized windows that allow natural light and air into each residence. 1201 S. Charles has been created by a team that is known throughout the area for their commitment to excellence.